Whether you need some new protective eye wear for your motorcycle riding adventures, target shooting practice, military work, or just some casual, routine activities, you can find everything you need in a pair of Wiley X glasses. 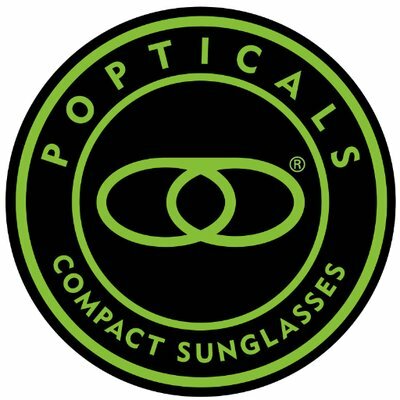 This high end brand produces both prescription and non-prescription eye wear options and plenty of other important, unique features. If you are looking for an option that offers both fashion and functionality, look no further! In this post, we will go through five of the most stylish and practical Wiley X glasses. k, and gloss black with sky blue designs. This protective eye wear is part of the Work Sight series by Wiley X and is of military-grade with Rx readiness. If you need lateral protection while you are at work, these glasses come with side shields that can easily be removed and added from the frame. For extra comfort, these glasses are built with wire core temple tips that can be adjusted to provide you with the perfect fit. In addition to various color options, the frames are designed with a custom-made WX logo on the sides and the material of the frames is a durable, yet flexible nylon that has been polished by hand. While the frames have quite a lot to offer, there are also many attractive features about the lenses. The lenses enhance vision with their distortion-free clarity and provide complete UVA and UVB protection.The lenses are also designed with a T-Shell lens coating to provide scratch-resistant protection as well as Shatterproof Selenite Polycarbonate material to protect the lenses from shattering. When considering this purchase, keep in mind that the fit is best for people with small to medium sized heads. Lastly, this eye wear option comes with an ultra soft, safe microfiber cleaning cloth to keep the lenses in top shape, a fold over case to store the glasses, removable side shields, and a drawstring bag to safely store the side shields in. Hudson Polarized WX Glasses: These no-nonsense Wiley X glasses prove you can attain both edgy style and the ultimate protective eye wear all in one. Like the aforementioned Wiley X glasses, these are best for people with small to medium sized heads. As far as measurement information goes, the eye size is 57, the DBL is 20 and the temple is 125. When you buy this eye wear, you also get a super soft microfiber cleaning cloth, a leash cord that is built with rubber temple grips, and a black zippered case. There are two style options: a gloss black frame with Hudson grey lenses and the matte black frame with the Hudson polarized green platinum flash. These Rx ready glasses come with special protective features including complete UVA and UVB protection, distortion-free clarity, a T-Shell lens coating that will protect the lenses from scratches even in harsh environments, and a Shatterproof Selenite Polycarbonate lens material that protects the eye wear from shattering. The lens material is strong enough to meet and exceed the the US Federal OSHA 1910. 133(b)(1)(1) standards as well as the ANSI Z87.1-2010 High Velocity and High Mass Impact Standards. WX Omega: Although the camouflage design of these super trendy Wiley X sunglasses might have you believing that this eye wear option is suitable for hunting or target shooting only, the WX Omega is built for so much more. And while most camouflage designs include the traditional leaves and sticks look, these frames have something substantially more unique going on. The design, referred to as Kryptek, includes an artillery camouflage netting that is created with both macro and micro layers. 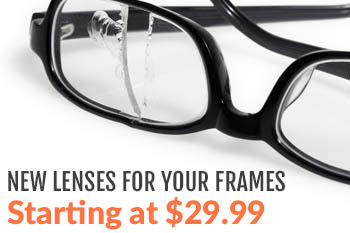 This distinct design actually gives these 2-D frames a noticeable 3-D appearance! And because of this unparalleled, modern design, these frames are ideal for anyone who spends a lot of time on the water fishing anywhere from the nearby lake to the ocean and everything in between. In addition to the unique frame design, the purchase of the WX Omega glasses includes Rx ready features, a rubber nose piece for extra non-slip security and comfort, distortion-free clarity, and complete UVA and UVB protection. The durable polycarbonate lenses are both shatterproof and equipped with an anti-scratch coating. There is one camouflage frame design option as well as two non-camouflage options for those who like the build of the sunglasses but do not want camouflage patterns. The original design is the Omega polarized emerald green mirror lenses with the Kryptek frames. The two others options are the Omega grey lenses with a matte black frame and the Omega polarized emerald mirror lenses with the matte black frame. o attractive style options: the Ignite grey lenses with the matte black frame and polarized blue mirror lenses with the matte black frames. If you choose the style option that comes with the polarized blue mirror lenses, you will enjoy a light transmission of 12%-15%. The lenses make these sunglasses great for wearing in bright conditions since the polarized mirror will minimize glare from sunlight and reflections. Both the grey lenses and the polarized blue mirror lenses offer distortion-free clarity, complete UVA and UVB ray protection, shatterproof protection, and an anti-scratch coating. For measurements, the eyes are 65, the DBL is 18, and the temple is 125. When you purchase these Wiley X sunglasses, you also receive a leash cord that comes with rubber temple grips, a soft, microfiber cleaning cloth, and a black zippered case. Romer 3: The Romer 3 sunglasses are part of the Changeable Series by Wiley X, which means these shades are great for anyone who wants an eye wear option that allows users to easily change out different lens colors. These military-grade, Rx ready shades are built for medium to large heads and include the following measurements: 63 for eye size, 19 for DBL, and 128 for temple. These sunglasses are built with a matte black frame and come with both clear lenses and smoke grey lenses. The frames are also built with the latest Slot Technology to allow users to change their lenses effortlessly at any time and in mere seconds. The clear lenses are ideal for indoor wear, night wear, low light conditions, and overcast conditions. They come with a light transmission of 90%. The smoke grey lenses do an excellent job of offering optimum glare reduction and zero color distortions with a light transmission of 15%. In addition to various lens color options that are interchangeable, each lens is constructed with an anti-fog coating, scratch-resistance, shatterproof protection, and complete UVA and UVB protection. 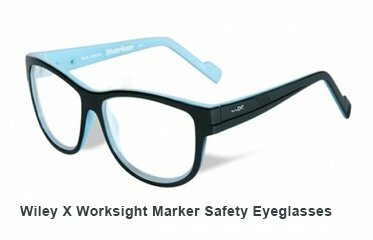 Want to learn more about the many other Wiley X glasses for casual wear, recreational activities, and protection at work? Don’t hesitate to contact us today with any questions that you might have. You can also continue to read our earlier blog posts for additional free resources or visit our official website.